The Reds and Brewers conclude their series and season with today’s matinee rubber game. 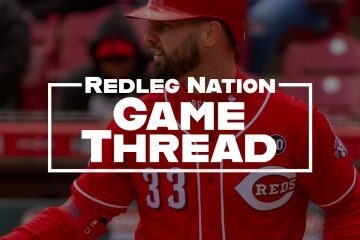 I don’t want to be a debbie downer but I can’t find much of a reason to attend today’s game at GABP unless you are just flat out of excuses to get out of work. With that said, I REALLY wish I was at GABP watching this meaningless game rather than trying to teach 12 year olds the fundamentals of government. 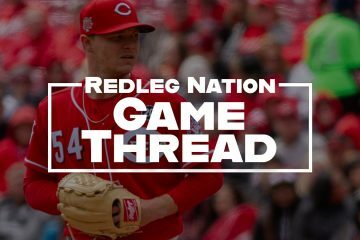 Discuss the game here Reds fans! Surely there is something worth discussing while the action unfolds! Ah, who doesn’t love this Septebmer [sic] weather? Holmberg in the nine hole? Are you kidding me Price? That’s terrible management. Can anyone confirm the rumor that Derek Jeter is retiring? I’m here. Free dugout tix and 3 blocks away so I could t say no. I’ll be at Saturday’s exciting and meaningful game (sarcasm). I think I have pretty good seats..
Off topic (not sure there is one), but the most recent 3 Reds pitchers to have a legit shot at the Cy Young Award have been (or soon will be) done in by Dodgers’ pitchers. Kershaw over Cueto in 2014 (he’ll probably finish 3rd after the dreaded Wainwright), Hershiser over Danny Jackson in ’88, and Valenzuela over Seaver in ’81. I hate the Dodgers (and Cards). Pitching on the west coast is a decided advantage to a pitcher’s stats just because of the pitcher friendly parks. Dodger pitchers pitch half their games in Dodger Stadium and then two of their in division opponents play in pitcher friendly parks, Giants in AT&T and Padres in Petco Park. They do have to make those road trips to Coors Field. Not like they can really turn it on & off, but I’m fine with the Reds tanking the last series on the off chance the D-Backs frustrate St. Louis. Good to see YRod knock in Bruce. I hope we’ll see a ton of that next season. Actually, Cozart used to hit them to SS for double plays. This is an improvement. This game was supposed to be broadcast on MLB television, but instead they’re doing almost non stop coverage of that one guy, (I think he plays for the Met’s) that’s playing his last home game before retiring. Bases loaded, no outs. Gulp! I would love to see Gomez take a swing like that against Bob Gibson or Nolan Ryan. Those guys didn’t mind playing a little chin music. Happy to see Bruce have a good day. But, why hasn’t he been shut down for season or rested more? He’s not hurt. He just never got his timing down all year. Probably will get hot the last day of the year. 25,824 turned out for today’s titanic struggle, 25,824. A Reds win is always a good thing under any circumstances. I wouldn’t mind seeing the Reds end the season on a winning streak, might as well go down swinging. Looking forward to the Pirates series. Oh, and Cueto getting his 20th win. Go Reds!